Monarch Pools & Spas has everything you need for maintaining your Spa as well as all types of accessories to enhance the enjoyment of your Spa. Our 20,000 sq. ft. retail superstore is centrally located in Totowa, NJ. 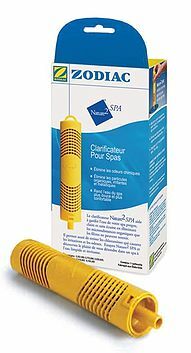 Using Nature2 SPA will help keep your water clean, clear, and always ready to use. 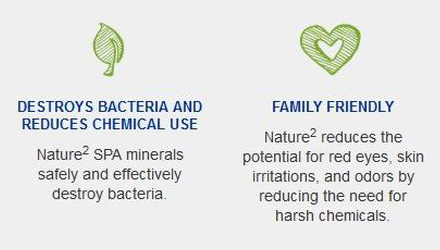 The minerals in Nature2 SPA dramatically reduce the need for harsh sanitizing chemicals in your water, making your Spa experience more comfortable and soothing. So easy to install; just drop it into the core of your spa’s filter. Replace it every 4 months. Call us at 973-812-8044973-812-8044 for complete customer care! Monarch Pools & Spas is an Authorized Warranty Service Provider for Saratoga Spas.